I haven’t really updated the work from home section in a long time and have a huge backlog of doodles and drawings to get through, so to try and keep everyone happy, I will try and feature one piece of work from each pupil. If you’d like to see more from any single individual, let me know and I will sort something out, otherwise, enjoy the variety. 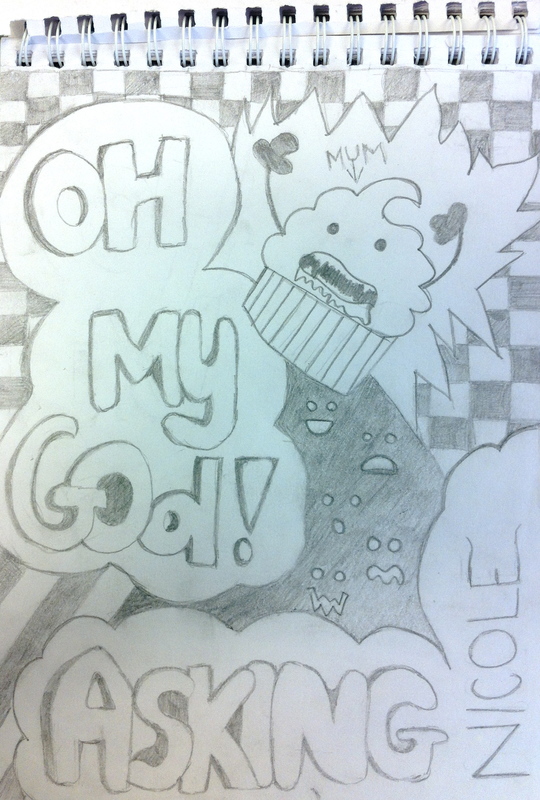 Above, Nicole H (S2, OLSP) gives us a weird, surreal, but very entertaining poster image. The bun character looks insane, though it is mildly discerning that it is labelled ‘Mum’. I have a hundred questions about it, but don’t want to ask them as any answer that was given would not be as rewarding as looking at that image. 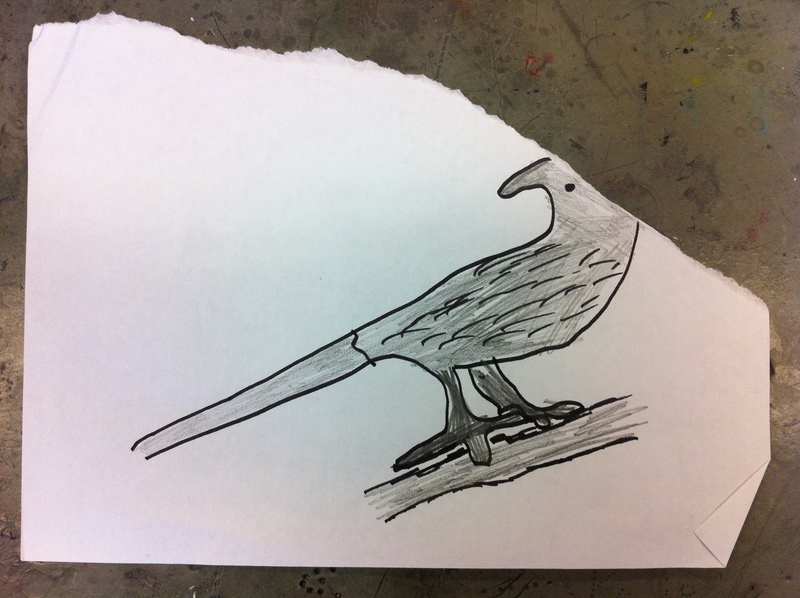 Below, Lauren C (S2, OLSP) has drawn a beautifully simple bird drawing on ripped paper. there is something very sad and lonely about this image, I love it. 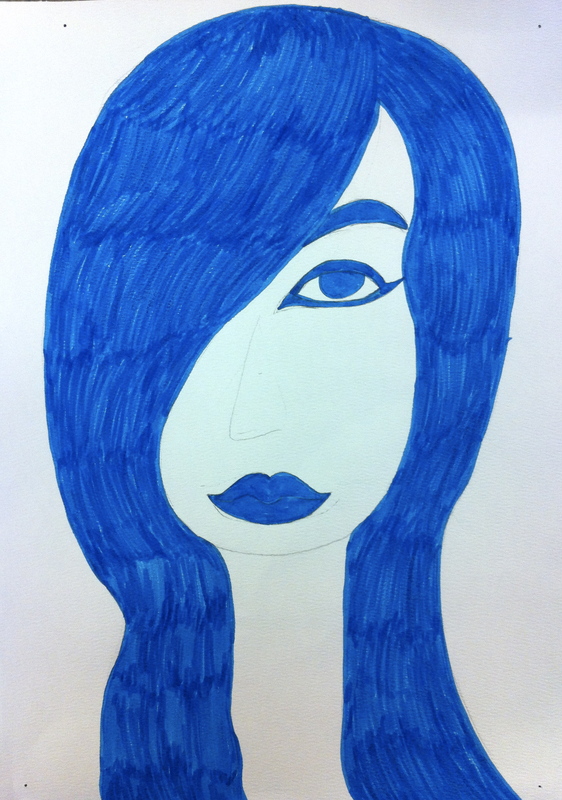 Above; Hana K (S2, OLSP), who has been previously featured (1/2) provides us with this very graphic and stylised face drawing. I really like the nearly non-existent nose, I would’ve liked it to have been completely removed. The pen work to fill in the shapes must have taken ages to do.